Welcome to the Internet Music Theory Database! Hello friends! 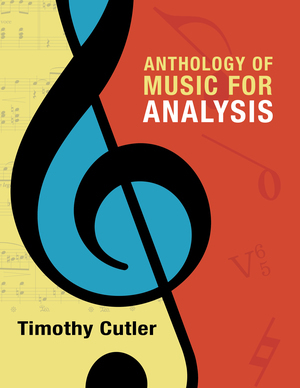 I’ve got some exciting news: due to the world-wide enthusiasm for this database, I’ve teamed up with W.W. Norton to produce a new book, the Anthology of Music for Analysis, the most comprehensive collection of music theory examples ever published. The Anthology consists of 850 musical excerpts organized by theoretical topic. A concise overview of each subject is included, and musical recordings can be accessed with a free Spotify account. There is little overlap between the musical examples in the Anthology and the online database, and the Anthology features several subjects that are not part of the database, including species counterpoint, phrase and form, and post-tonal techniques. I’ve appreciated your support over the past fifteen years, and I hope you’ll give this book a look, as it would make an excellent central or supplemental text in theory courses of all levels. You can find the book's homepage here. It can also be purchased on Amazon. The goal of this project is to provide the music community with an online database of tonal music theory examples from the classical repertoire. Presently, we have little access to well-organized examples of theoretical techniques beyond the few excerpts contained in textbooks (often without recordings). Researchers, teachers, and students spend countless hours searching for appropriate examples of theoretical techniques. The purpose of our project is to help remedy this situation. For each example there is a printable file of the score, an audio excerpt, and a single page that includes both the score and audio recording. For a couple of reasons few of the examples contain analysis. First, I wish to impart my own analytical philosophy as little as possible; it is not important that we all interpret these passages similarly. And second, unannotated scores allow teachers to create assignments directly from the database. Some of you have combined the database with Blackboard to create homework and online quizzes. We have included a link for “suggested ways to use the database” and welcome your ideas. Currently we are adding additional examples to all chapters. At this point we welcome any suggestions for topics or examples you’d like to see in the database (please email timothy.cutler@case.edu). Dr. Timothy Cutler is a Professor of Music Theory at the Cleveland Institute of Music. He received a B.M. in music theory and composition from the Oberlin Conservatory (1995) and a Ph.D. in music theory from Yale University (2000). 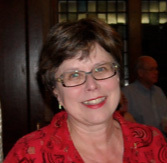 He has presented numerous papers at national and regional conferences and has published articles in The Journal of Music Theory, The Journal of Music Theory Pedagogy, and The Journal of Schenkerian Studies, among others. NOTE: Some of the older sound files are in the .mov format. You will need to hear them through a Safari brower until we update them to the .mp3 format.